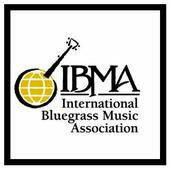 The 2013 International Bluegrass Music Association’s (IBMA) World of Bluegrass, held Sept. 24-28, 2013 in Raleigh, N.C., generated an estimated $10 million in direct visitor spending for Raleigh and Wake County, according to the Greater Raleigh Convention and Visitors Bureau (GRCVB). The $10 million estimate does not include local spending, nor does it include a multiplier of indirect or induced impacts. The World of Bluegrass Week included the four-day IBMA Business Conference, the International Bluegrass Music Awards Show, Bluegrass Ramble and the two-day Wide Open Bluegrass Street Fest, which partnered with the N.C. Whole Hog Barbecue State Championships. The events brought approximately 84,000 visitors from outside of Wake County to the area. “To say that Raleigh ‘rolled out the red carpet for us’ is a bit of an understatement. It’s probably more accurate to say that they rolled out the carpet, bought new furniture, and built a new home for us. The work of the GRCVB, the Raleigh Convention Center staff, all the host hotels, city and regional government, the United Arts Council and a hard-working local organizing committee was evident in a number of ways great and small,” said Nancy Cardwell, executive director of IBMA.